Click here to be notified by email when 14Kt White Gold Diamond Bracelet With 3/4 Carat Tw Of Diamonds becomes available. A diamond's cut grade is an objective measure of a diamond's light performance, or, what we generally think of as sparkle. When a diamond is cut with the proper proportions, light is returned out of the top of the diamond (which gemologists refer to as the table). If it is cut too shallow, light leaks out of the bottom; too deep and it escapes out of the side. Cut is a diamond's most important characteristic. It has the greatest overall influence on a diamond's beauty. It determines what we generally think of as sparkle. Ideal cut: Represents roughly the top 3% of diamond quality based on cut. Reflects nearly all light that enters the diamond. An exquisite and rare cut. Very good cut:Represents roughly the top 15% of diamond quality based on cut. Reflects nearly as much light as the ideal cut, but for a lower price. Poor cut: Diamonds that are generally so deep and narrow or shallow and wide that they lose most of the light out the sides and bottom. H.K. Designs does not carry diamonds with cut grades of poor. Most diamonds appear colorless but actually have slight tones of yellow or brown. The closer the stone comes to colorless, the more valuable it is. Diamonds are graded on a color scale ranging from D (colorless) to Z (heavily tinted.) Only a highly skilled professional will detect any color in E or F stones, and the color in diamonds rated up to J will be virtually invisible when set in a ring or other jewelry. Color is only one of the four C's so even when a stone has a visible tint, such as K or above, it can still be very lovely if it has good clarity and cut. How the diamond is set can make a difference, too; you might not want to put a truly colorless diamond in a yellow gold setting since the yellow color will reflect in the stone. On the other hand, a slightly yellow stone will appear whiter in a yellow gold setting. Diamonds also come in a wide variety of other colors, including red, blue, green and a bright yellow known as "canary." These are graded as Z+ and are known as "fancy" diamonds. Ones with good color are very rare and can sell for much more per carat than white diamonds. J-I Near-colorless: An exceptional value with slightly detectable warmth or tone. H-G Near-colorless: Color difficult to detect unless compared side-by-side against diamonds of better grades. An excellent value. F-E Colorless: Minute traces of color can be detected by an expert gemologist. A rare diamond. D Absolutely colorless: The highest color grade. Extremely rare. What Color is Right for Me? For the purist, look for a colorless diamond with a grade of D-F for a diamond with no discernible color. For an excellent value in a diamond or diamond jewelry with little or no noticeable color to the unaided eye, look for a near-colorless grade of G-I. Clarity is a measure of the number and size of the tiny imperfections that occur in almost all diamonds. Many of these imperfections are microscopic, and do not affect a diamond's beauty in any visible way. Much is made of a diamond's clarity, but of the Four Cs, it is the easiest to understand, and, according to many experts, generally has the least impact on a diamond's appearance. Clarity simply refers to the tiny, natural imperfections that occur in all but the finest diamonds. FL, IF Flawless, Internally Flawless: No internal or external imperfections. Internally Flawless: No internal imperfections. Very rare. VVS1, VVS2 Very, Very Slightly Included: Very difficult to see imperfections under 10x magnification. An excellent quality diamond. VS1, VS2 Very Slightly Included: Imperfections are not typically visible to the unaided eye. Less expensive than the VVS1 or VVS2 grades. SI1, SI2 Slightly Included: Imperfections are visible under 10 x magnifications, and may be visible with the unaided eye. A good diamond value. I1/I2 Included: This grade of diamonds will have minor inclusions that may be visible to the unaided eye.A good diamond value and a good value specially in diamond jewelry. It is possible to have a diamond of a lower carat weight, but higher cut grade, that appears larger than a diamond with a larger carat weight, but poor cut. Once you've selected your cut, color, and clarity grade, it's easy to determine the carat weight of diamond that will fit within your budget. Much as there are 100 pennies in a dollar, a one-carat diamond is comprised of 100 points. Hence, 50 points is equal to 1/2-carat, and so on. What Carat Weight Is Right For Me? To choose the best carat weight of diamond, consider the size of her finger, the size of your setting, and your budget. If a large carat weight is important to you, yet you're working within a strict budget, consider a diamond with a good cut, I1/I2 clarity, and a G -H color grade..
Keep in mind that the smaller the finger, the larger the diamond will appear. A 1.5-carat diamond solitaire looks much larger on a size 4 finger than a size 8. Diamond Engagement Rings are works of art.The more you understand about the different styles and diamond settings, the easier it is to choose a quality piece you desire. Prong settings are the most popular, especially with solitaire engagement rings. Thin metal prongs rise from the base of the setting and grip the stone securely. Bezel settings circle the main stone in a metal collar that‘s just a little higher than the top of the stone. With a tension setting, it is actually the pressure from the metal of the band (or shank) that holds the stone in place. When deciding on a diamond ring, the setting is one of the most important factors to consider. Different ring setting styles cater to a wide range of preferences. There are a variety of diamond settings available, so take your time and get familiar with the popular setting styles. From the classic solitaire to popular diamond halo settings, there are styles for every taste. You may prefer an engagement ring with side stones. Side stones enhance the center diamond and can personalize your ring. Three Stone Engagement Rings are a classic alternative to the traditional solitaire.Make her say yes with our collection of Three Stone diamond engagement rings. Bezel settings are divided into two categories, full bezel and half bezel. Both full bezels and half bezels provide a sleek alternative to traditional prong settings. Tension settings of engagement rings are known for their beautiful profiles, and they are often found in sleek and contemporary designs. The center stone is held in place by grooves that are carved into each side of the metal, securing the stone at the girdle. The metal of the ring is processed to harden and strengthen it, so the stone stays in place. More metal is typically used in a tension setting, because the heavier the piece, the stronger the tension. Like half bezel settings, some of the diamond is exposed, but well-made tension settings are very sturdy and secure. Pave literally means “paved.” Imagine a piece of metal paved in diamonds. In true pavé, tiny beads of metal are pushed up from the surface securing multiple diamonds, which are set next to each other in a smooth formation. Browse our Majestic collection with smaller diamonds set in a unique micro pave setting giving it the illusion of one big diamond. A true masterpiece sure to make heads turn. Split shanks are graceful and complement many diamond shapes. The shank splits from the head of the ring creating the look of two separate bands. Your engagement ring or wedding band should fit comfortably — not too tight, but not too loose either. The perfect ring fits loose enough to slide over your knuckle and tight enough so that it cannot fall off your finger. For your ideal fit, consider on which finger you will wear the ring. Diamond eternity rings are designed with a specific number of gemstones surrounding the ring for each size. Due to this design, we can't resize eternity rings. Measure your finger at the end of the day. Be sure to measure your finger size a few times to make sure your calculations are accurate. Please refer our ring size chart below. Earrings make the perfect gift because they are always the right fit. Our wide variety of earring types, sizes, and prices available makes it easy to find the perfect pair for a gift for her or to yourself. For added sparkle, choose a pair of diamond hoop earrings for that elegant touch. Drop earrings are made to dangle below their setting. Swaying with movement, they can add an elegant touch. View our Diamond Hoops & Drops section to find your style. The safest and easiest way to clean your diamond jewelry at home is with warm soapy water, a soft toothbrush and a soft lint free cloth. At Karbon White we offer a 30 day return or exchange with a full money back guarantee. To be eligible for a return, your item must be unused and in the same condition that you received it. It must also be in the original packaging and accompanied with all original documentation. Several types of items are exempt from being returned or exchanged.All items made to order,items that have been resized or engraved, items that have been previously exchanged cannot be returned. Additionally contact us on info@karbonwhite.com to initiate a return. 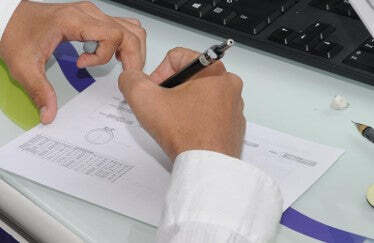 You will need to provide your contact details order number and reason for return. Items should be returned in their original packaging with the original product tags attached and with all documents such as diamond certificates,invoices etc.Please include a copy of your order/shipping confirmation email in the return package. All shipping return charges must be pre-paid as we do not accept C.O.D deliveries.We require and request that returned items be insured during delivery to safeguard against loss. If you’ve done all of this and you still have not received your refund yet, please contact us at info@karbonwhite.com. Our family has been in the diamond trade for over 30 years and we leverage our experience to bring you the very best. Our rough diamonds are ethically-sourced from mines throughout the world, including Canada, and cut and polished by manufacturers at various cutting centers. These are the tenets of our product philosophy. We are based out of Toronto, Canada, and our expertise in the diamond jewelry industry ensures that you will receive high quality product at the best possible value. All diamonds used in our jewelry are procured under the ‘Kimberley Process’, in an effort to eliminate all conflict diamonds from the global supply chain. Our select suppliers are committed to operating at the highest professional and ethical standards. All of our jewelry is inspired by nature and our designers ensure that all our products are unique and one of a kind. 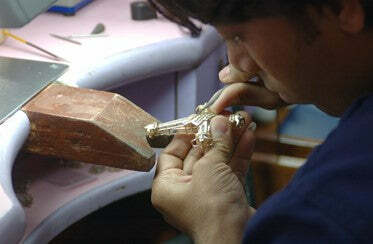 The diamonds are hand-set by our skilled artisans to give it a brilliant finish. At Karbon White, all white diamonds used in our jewelry are assessed and verified by our team of GIA certified professionals to maximize the exceptional quality and value of your pieces. In the interest of full transparency for our customers, all of our jewelry is accompanied by a Certificate of Authenticity and specifies the quality of diamonds and gold employed in creating your jewelry.